Vincent Caprio founded the Water Innovations Alliance Foundation (WIAF) in October 2008. In this role he created the Water 2.0 Conference series of which he is currently the Chairman Emeritus. A pioneer at the intersection of business and technology, Vincent Caprio possesses a unique ability to spot emerging and societally significant technologies in their early stages. He successfully creates brands and business organizations focused on specific technology markets, and launches events that not only educate, but also connect and empower stakeholders that include investors, technologists, CEOs and politicians. It is Mr. Caprio’s avid interest in history and background in finance that enabled him to be among the first to recognize the impact that specific technologies will have on business and society. By building community networks centered around his conferences, he has facilitated the growth of important new technologies, including nanotechnology, clean water technology and most recently, engineering software. Mr. Caprio is also one of the foremost advocates for government funding of emerging technology at both the State and Federal levels. 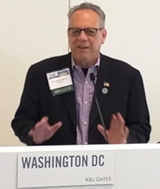 He has testified before Congress, EPA, Office of Science and Technology Policy (OSTP), as well as the state legislatures of New York and Connecticut, and has been an invited speaker at over 100 events. Mr. Caprio has also organized public policy tours in Washington, DC, educating politicians about emerging tech through meetings with high-level technology executives. As an early advocate for nanotechnology, Mr. Caprio is the Founder and Chairman Emeritus of the NanoBusiness Commercialization Association (NanoBCA). In 2002, he launched the highly successful NanoBusiness conference series, now in its 18th year. In the events sector, Mr. Caprio served as the Event Director who launched of The Emerging Technologies Conference in association with MIT’s Technology Review Magazine. He also acted as consultant to the leading emerging technology research and advisory firm Lux Research, for its Lux Executive Summit in 2005 & 2006. In 2002, Mr. Caprio served as the Event Director and Program Director of the Forbes/IBM Executive Summit. Prior to founding the NanoBCA, Mr. Caprio was Event Director for Red Herring Conferences, producing the company’s Venture Market conferences and Annual Summit reporting to Red Herring Magazine Founder and Publisher Tony Perkins, and Editor, Jason Pontin. His industry peers have formally recognized Mr. Caprio on several occasions for his talents in both tradeshow and conference management. Mr. Caprio was named Sales Executive of the Year in 1994 while employed with Reed Exhibitions, and was further honored with three Pathfinder Awards in 1995 for launching The New York Restaurant Show, Buildings Chicago and Buildings LA. Prior to joining Reed Elsevier’s office of the Controller in 1989, Mr. Caprio was employed at Henry Charles Wainwright investment group as a Senior Tax Accountant. In the 1980’s, he specialized in the preparation of 1120, 1065 and 1040 tax forms, and was also employed with the Internal Revenue Service from 1979-1981. Mr. Caprio graduated from Villanova University with a Bachelor of Science in Accounting/MIS from the Villanova School of Business. He received an MBA/MPA from Fairleigh Dickinson University. In the spring of 2015, Mr. Caprio was appointed to Wichita State University’s Applied Technology Acceleration Institute (ATAI) as a water and energy expert. In 2017 he was named Program Director of the Center for Digital Transformation at Pfeiffer University. 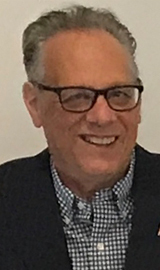 Mr. Caprio was elected in November 2016 and serves as the Easton, Connecticut Registrar of Voters.